All of the generations of symbiotic bacteria and yeasts in this starter have grown into a rudimen­tary intelligence, one that responds to stimulus in almost human-like ways. The starter takes Lois on a journey from a tech worker who subsists on nutri­ent slurry because it’s efficient to a foodie who can find wonder in seeing the stars. Sourdough isn’t as treacle-y as that sounds, though. 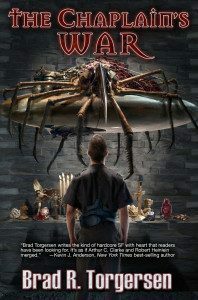 It’s grounded and wry. 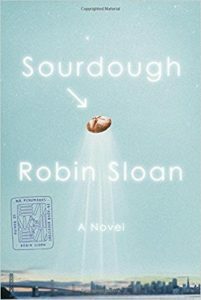 Sloan has a de­lightful touch with descriptions – a panel of chefs “looked like a committee of harvest gods drawn from all of the pantheons,” for example – and a deft approach to giving Lois life. Sourdough lives in that interstitial state where it’s not quite magical realism but not quite not, either. 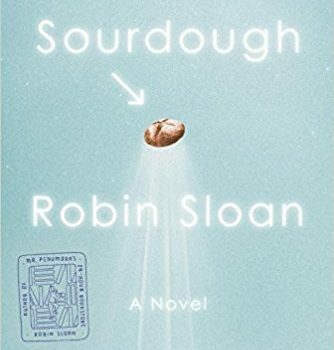 Despite an ending that doesn’t quite hang with the rest of the novel, Sourdough is likely the most interesting tale you’ll read about bread this year.